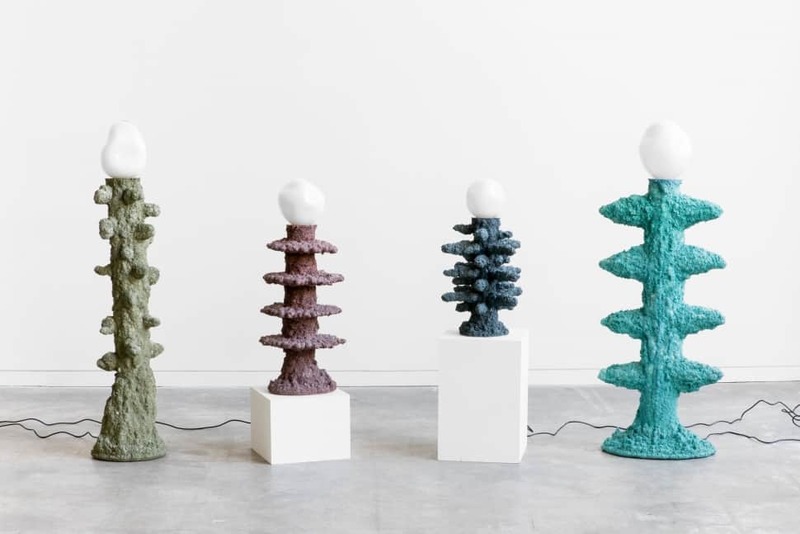 Susan for Susan is the Toronto-based artist brother duo comprised of John and Kevin Watts, creating otherworldly pieces hovering on the border between sculpture and objet. The brothers left behind architecture school and advertising careers, respectively, to form Susan for Susan, and now in a 19th-century former barn just north of Toronto, the pair mold sculptural objects within a variety of different media. 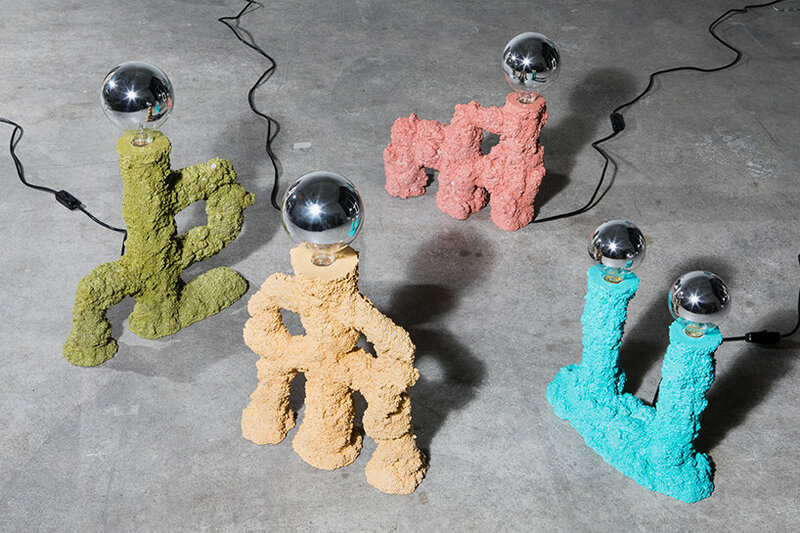 The duo debuted a series of sculptural objects at the 2018 edition of the Interior Design Show in Toronto which was crowned ‘best collection’ of the studio north section for emerging designers and independent studios. 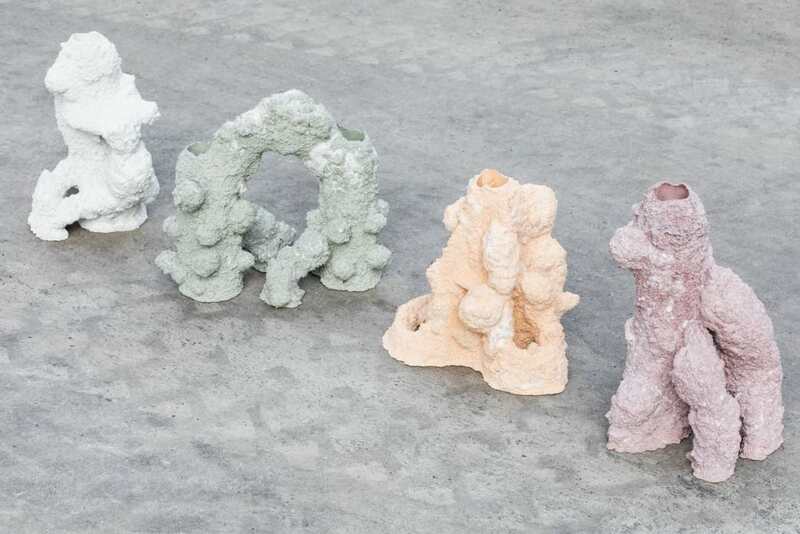 The collection was comprised of multiple unique pieces made from diverse materials including coloured cement, sand, polystyrene, blown glass, and electrical components which came together to form abstract, porous and contoured forms reminiscent of lunar rock sourced from alien landscapes. The pieces the duo produces are all hand made, stressing experimentation and process as being integral to their unique aesthetics. We caught up with the artists to discuss what they’ve been up to since IDS, how they conceive of their unique practice, and what they’re planning to show at IDS 2019. How did Susan For Susan start, and what was the inspiration behind it? Susan For Susan started after Kevin finished his first year in architecture school and I finished a year studying advertising copywriting. Neither of us was overly interested with the prospect of working in those industries and sought an opportunity to create on a smaller scale. 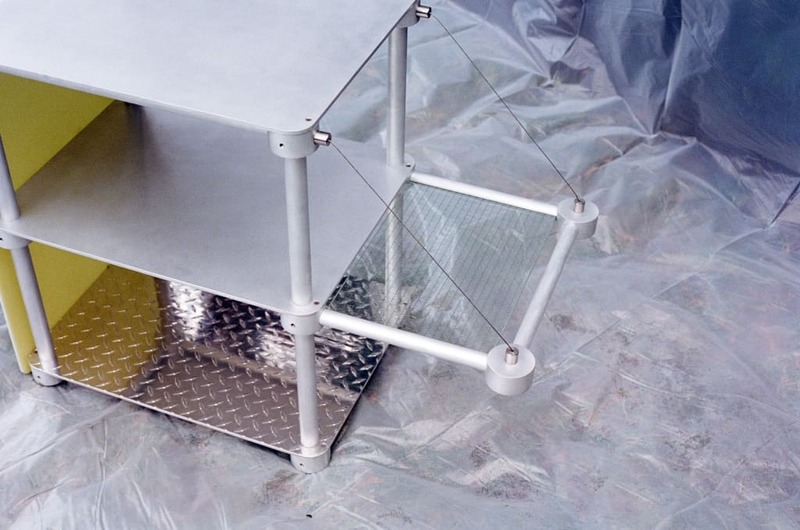 We had worked together in the past on construction and fabrication projects out of the workshop we currently occupy. A workshop with some seasoned veterans and some outside work to fund this whole endeavor. The inspiration behind the idea was to ultimately be our own bosses and lead our own ideas. With a past and interest in construction materials and fabrications processes, we wanted to take advantage of the tools and processes that were available to make ‘furniture’. How would you describe your work? Furniture? 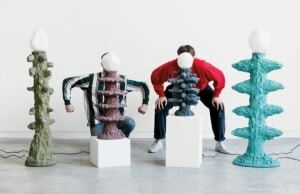 Sculpture? Or, something that blurs the lines between genre? When people ask me what it is I usually say that we make weird furniture and have to show them some pictures to tie it all together. Ultimately I would say that it is both furniture and sculpture as some pieces are less functional than others and some do resemble the forms of what you would think furniture is supposed to take. There is no real goal or aim for one or the other as we just try and translate our ideas into whatever form is most appropriate. Acetone erosions was crowned ‘best collection’ of the studio north section at last years IDS Toronto, what was that like for you, and where did the concept come from? It was a nice compliment as it was the first time we had ever shown our work in a public space. We really went for it last year and created a whole body of work within the two months leading up to the show, which was stressful but fun. The idea came from a project Kevin was working on in school around the idea of creating free forms. We thought we could use this process and manipulate it to make interesting pieces of furniture. Which other projects have you done since acetone erosions, and are there other mediums you are working in? Since the Acetone Erosion series, we have released two new collections along with a couple one-offs. The first collection ‘Circles’ is primarily made from hand-machined aluminum circles and tubes. We got really into sanding and wax polishing aluminum for a bit, which is annoying but gives the aluminum a nice look. Other materials in the collection are industrial plastics and glass. 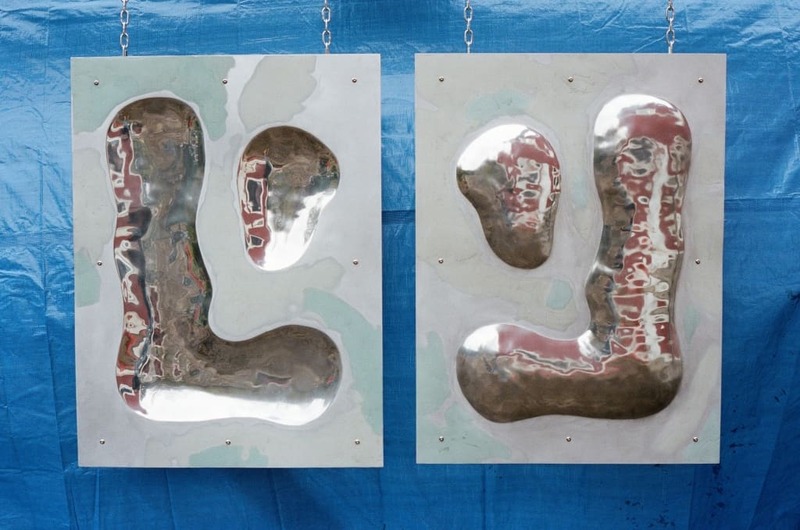 The second collection, ‘Auto Body’ consists of hand dented and polished mirrors made from aluminum and Bondo. The manual repair of dents in car bodies inspired this process. What are you showing at this year’s IDS Toronto? This year at IDS we will be showing three pieces from the ‘Circles’ series, two pieces from the ‘Auto-Body’ series, and two one-offs. One is a pretty wild chair and the other one is quite tame. We are going with a more casual approach this year. What do you hope to accomplish with Susan for Susan in 2019? Having no background in design or art we still look at Susan for Susan as a ‘company’ in its infancy state. We don’t have a definite goal for what we want but are ultimately working towards a direction that best represents who we are as people. To date, we have been focusing on furniture but could see that medium change as our interests and means of expression start to grow.